The old town Stade was not bombed under the WWII and remains as it have been through the centurys. 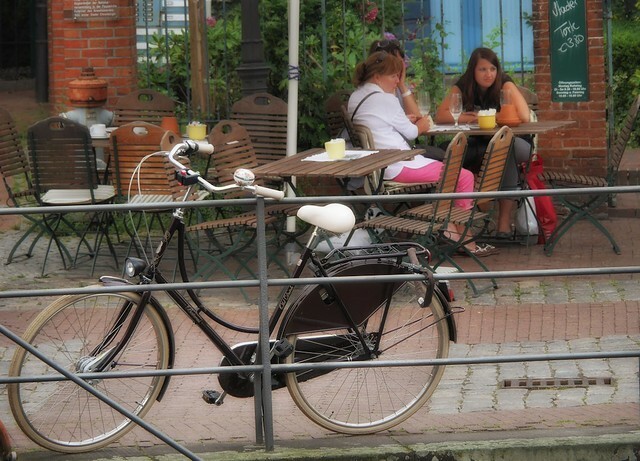 Here by a cafe along the canal in the old town. Stade is a city in Lower Saxony, Germany, and part of the Hamburg Metropolitan Region (Metropolregion Hamburg). The city has a population of around 45,152. Administratively, it is the seat of the Stade district which covers approximately 1,266 sq kms. The first human settlers came to the Stade area in 30,000 BC. 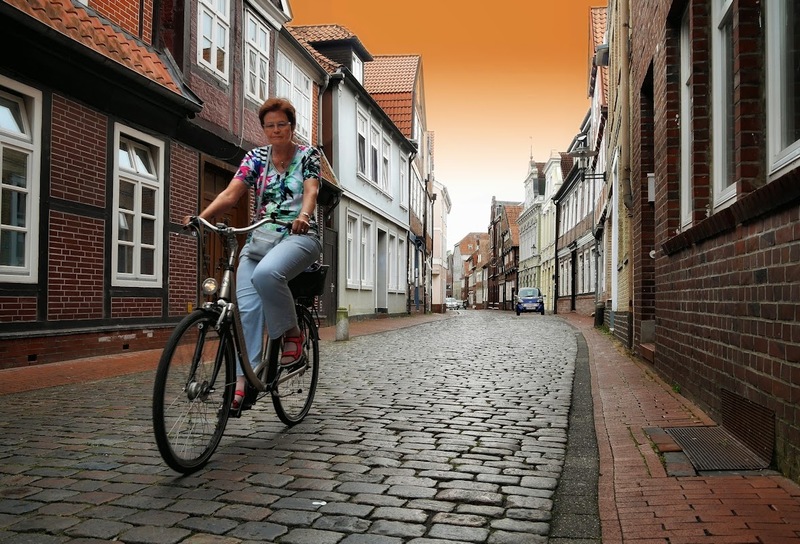 The city was founded in 994 and, in 1209, Stade received the "Stadtrecht" (town privileges). 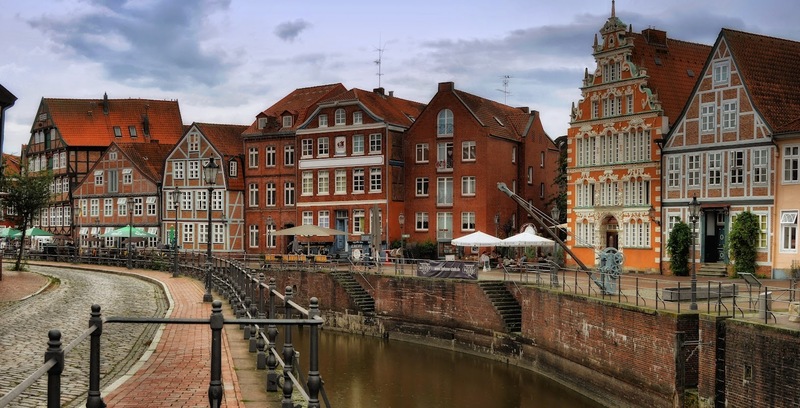 In medieval times (from the 1200s to the late 1600s), Stade was a prominent member of the Hanseatic League, but was later eclipsed by Hamburg. Stade was also occupied by Sweden from 1645 to 1712, and some of the buildings built by the Swedes are still in use today. In 1355 and in 1712, Stade suffered a plague epidemic which killed at least 30-40% of the city's population. During World War II, Stade remained completely untouched by allied bombings.